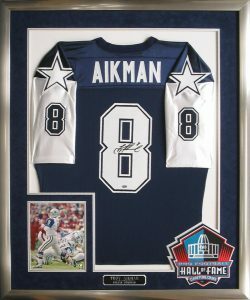 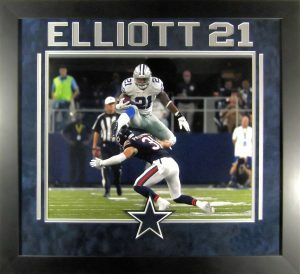 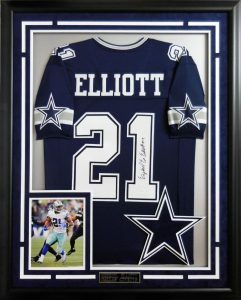 Custom framed Dallas Cowboys Ezekiel Elliott Autographed jersey. 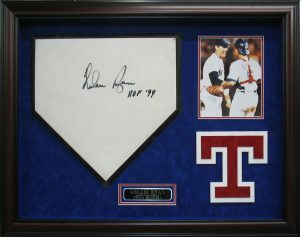 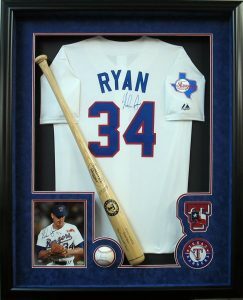 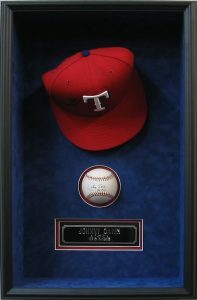 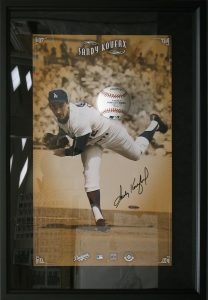 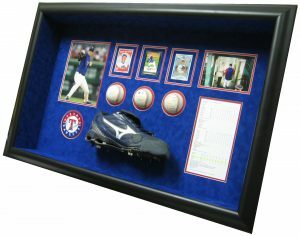 Black molding, Blue matted boarding, White background matte, w/ photo, Star patch, and engraved plate. 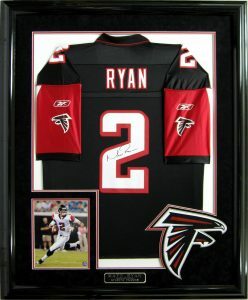 Custom framed Atlanta Falcons Matt Ryan Autographed Jersey. 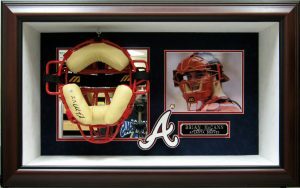 Black molding, Black matting w/ Red accent, White background matte w/ Photo, Falcons patch, and engraved plate. 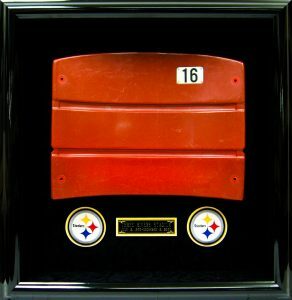 Custom Framed Pittsburgh Steelers chair back shadowbox. 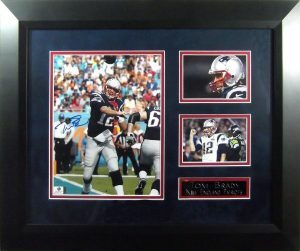 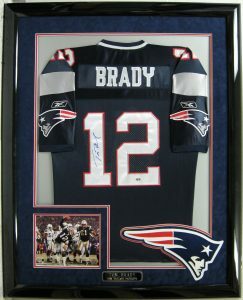 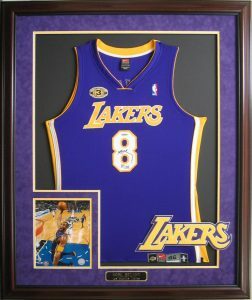 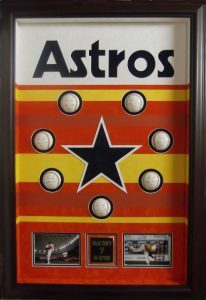 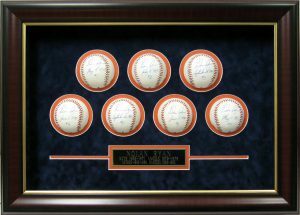 Black molding, black matting w/ Steelers patchs and engraved plate. 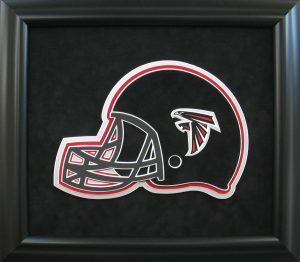 Custom framed Atlanta Falcons matte cut helmet. 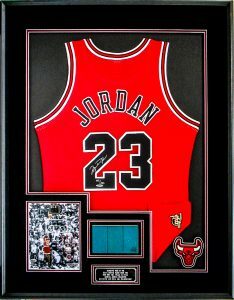 Black molding, black matting. 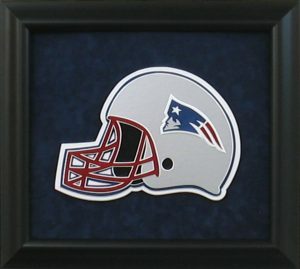 Custom framed New England Patriots matte cut helmet. 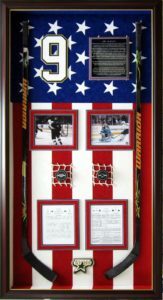 Black molding, black matting. 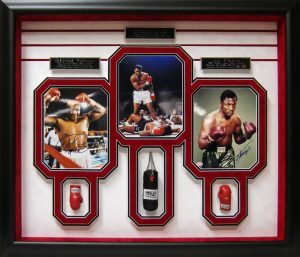 Custom framed Muhammad Ali/Joe Frazier autographed shadowbox. 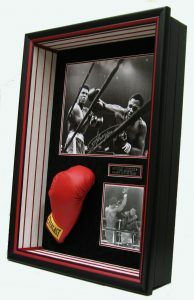 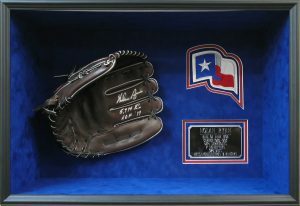 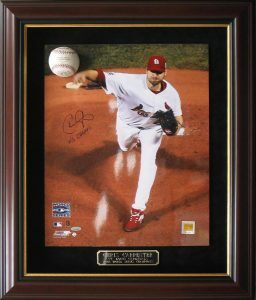 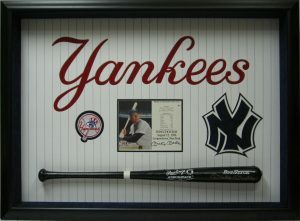 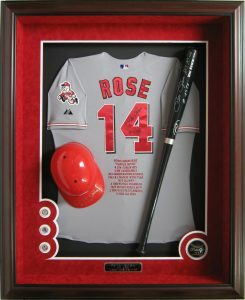 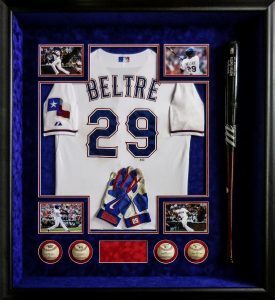 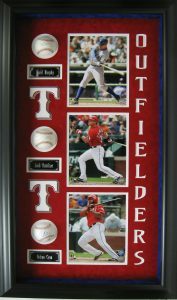 Black molding, Red and White side panel matting, black background matte, boxing glove and engraved plate. 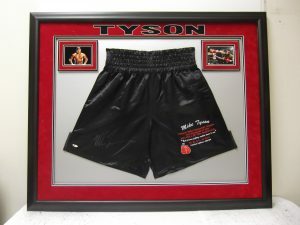 Custom Framed Mike Tyson autographed trunks. 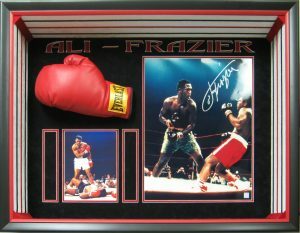 Black molding, Red outer boarder matting w/ "Tyson" cut, Grey background matte, with 2 photos. 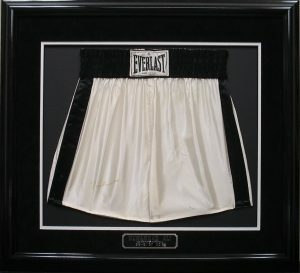 Custom Framed Muhammad Ali Autographed Trunks. 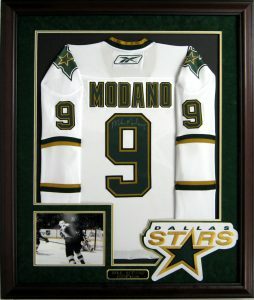 Black molding, black outer boarder matting w/ white accents, black background matte w/engraved plate.